ROBERT MACKEY is a fan of all kinds of music...period. His latest single with his rock band AVM called "I'm Not Crying Over You" was written and produced by Mackey and mixed by GRAMMY award winning mixing legend DAVE PENSADO (Michael Jackson, Kelly Clarkson, Elton John, Christina Aguilara, Pink) and mastered by GENE GRIMALDI (Lady Gaga, Carly Ray Jepson). 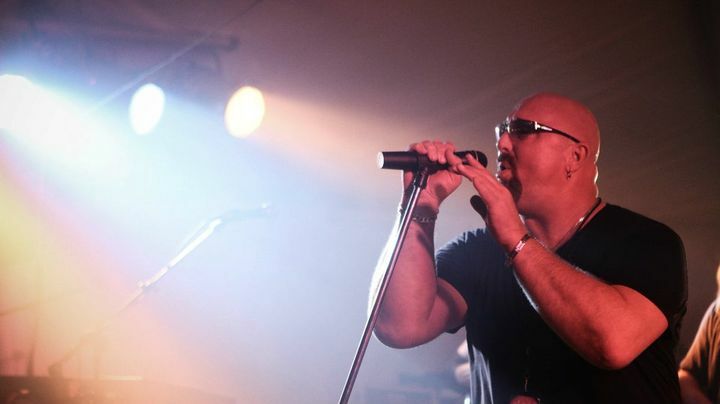 Mackey performed lead vocals, played guitars, bass, keyboards and percussion while writing, arranging and producing most of the songs and music for several of the rock band AVM’s full length albums, including "It's Tonight", 'Maxi-Singles' and “A Matter of Time.” He has produced a diverse roster of Artists - AMANDA BROMMEL (Pop Rock), NATHAN WAGNER (Singer Songwriter). MAGISTY (Alternative Hip Hop), AVM (Modern Symphonic Rock), ELI RISES (Heavy Metal) and shared the stage with international rock acts such as Kansas, Cheap Trick, Loverboy, Survivor and Carl Palmer (ELP). Mackey has worked with legendary artist and Grammy Award winners JOE SOUTH, JIM PETERIK, Grammy Award winning Mixing artist DAVE PENSADO, GENE GRIMALDI, BRAD BLACKWOOD, BOB HORN. Also, he personally did mixing and mastering of MIDWAVE song remixes of Grammy award winning artist SUZANNE VEGA "I Never Wear White" and official remix of Grammy award winning artist OK GO "I Won't Let You Down". He's done some acting, under the IMDB name Robert A. Mackey, he appears as Max in the 2009 feature length alien-vampire movie "La Femme Vampir" by writer/director ALEXANDER ALCARESE starring VERONICA GREY, JOE ESTEVEZ and the late ROBERT Z'DAR. In 2016, he makes an appearance as a Mob Guy in the feature length film by director EDMOND COISSON “Chasing Gold” 2018 ("Precious Mettle") starring PAUL SORVINO, (GoodFellas) FIONA DOURIF (Curse of Chucky) and MATT BUSHELL (Twilight). Currently, Mackey is writing songs and music for several upcoming movie projects.